At the beginning of October, CH2M HILL Polar Services (CPS) celebrated the completion of an energy-efficient, spacious, new 6,200-square-foot facility at the Toolik Field Station, the University of Alaska's research station on the North Slope of Alaska's Brooks Range. The new building houses a kitchen that can feed up to 150 people, two dining areas, bathrooms, and camp staff offices, and it was designed and constructed to meet LEED certification, said Polar Field Service's lead on the project, Stan Wisneski. (Click here for the Toolik kitchen floor plan). The building is extremely well-insulated and incorporates smart, eco-friendly features, such as ventilation hoods that are self-activated and automatically switch off when they are no longer needed. The high-end kitchen features multiple sinks, excellent ventilation, a designated scullery, and industrial, energy efficient dishwashers. Designed in the winter of 2009, the $5 million building went out to bid in June that year, as was required by the National Science Foundation to comply with the rules of the American Recovery and Reinvestment Act (ARRA), widely known as the "stimulus package." Johnson River Enterprises, a family-owned Fairbanks-based company, was awarded the bid. The company began construction in spring 2010 and completed the work by the end of September. "They did a fantastic job," said Wisneski. "They were so good to work with, it was a dream company. We had a very ambitious timeline, and they met us every step of the way." All that remains now that construction is complete is for the NSF to award final acceptance. This new building enables Toolik to better function year-round and support a winter population of up to 50 people, said Wisneski. 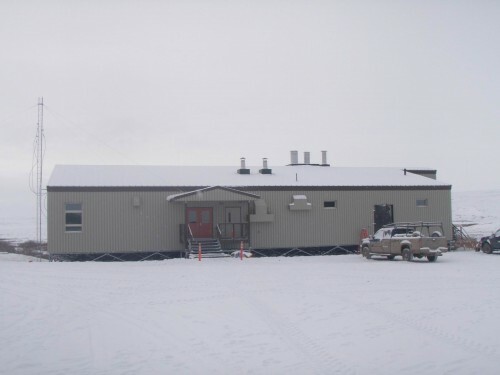 Since the winter of 2006-2007, people have lived year-round at Toolik, but their facilities were small and the kitchen was more like one you would find in a home. Although it was sufficient, it wasn't ideal. "The small kitchen has fed as many as 25 people at one time," said Wisneski. "It was only for a week, but that was a long week." 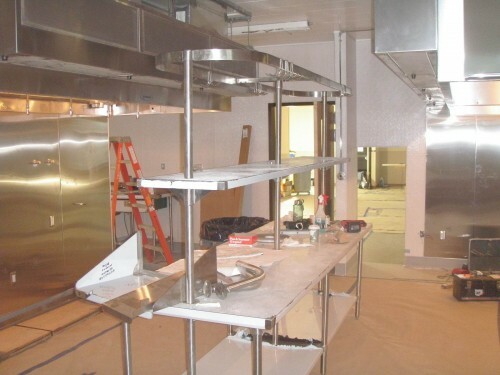 In addition to the expansive kitchen, the new facility provides additional space and a climate-controlled environment for the camp's fiber optic cable, which was relocated to the building during construction. 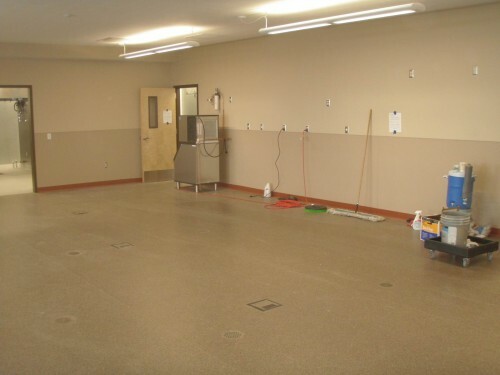 During the winter, one of the dining areas will remain empty, so scientists and camp staff can utilize the empty space as they need to.